Gavin Rae is Conex Marie Sklodowska-Curie Experienced Research Fellow at the Universidad Carlos III de Madrid, Spain. He is the author of Realizing Freedom: Hegel, Sartre, and the Alienation of Human Being (2011); Ontology in Heidegger and Deleuze (2014); The Problem of Political Foundations in Carl Schmitt and Emmanuel Levinas (2016); and co-editor (with Emma Ingala) of Subjectivity and the Political: Contemporary Perspectives (Routledge: 2018). Emma Ingala is Senior Lecturer in the Department of Theoretical Philosophy and Vice-Dean of Academic Organization in the Faculty of Philosophy at the Universidad Complutense de Madrid, Spain. 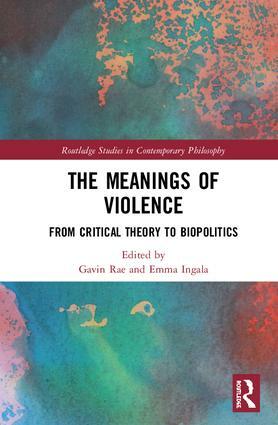 She specializes in post-structuralist thought, political anthropology, feminist theory and psychoanalysis, and is the co-editor (with Gavin Rae) of Subjectivity and the Political: Contemporary Perspectives (Routledge: 2018).